It was a three-day weekend, and my roommates and I planned on taking advantage of it by making a trip to Bishop. We departed at 4 in the morning on Saturday to meet up with the hoard of other SLO climbers. Cody drove us the six hours to the base of the stormy Mount Tom. It was great to be back in Bishop. 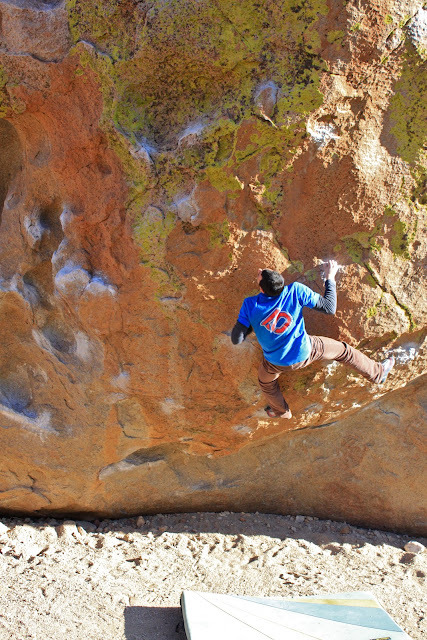 I headed straight to Grandma Peabody to get on my long time project, Direction (V13). My brother and I had sent Thunderbird, the V11 stand start, years ago and I have been wanting to send Direction ever since. I had tried the lower crux move on the previous Bishop trip but never stuck it. I gave the problem a go and felt rather close to sticking that move. I tried a few more times and changed up my beta slightly and was able to hold it. 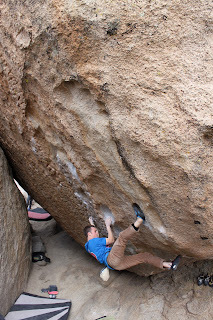 I got really excited and decided to rest for a minute before giving the problem a real go from the start. I stuck the lower crux and found myself at the start of Thunderbird. I had not repeated Thunderbird since the first time I sent it, years ago. I let out a Sharma call (DAAAAAAAAATTTTTTT!!!!!!!!!) and held the swing. Just a few seconds later, I ran into Michael Bautista, a long time friend. It was a great surprise. 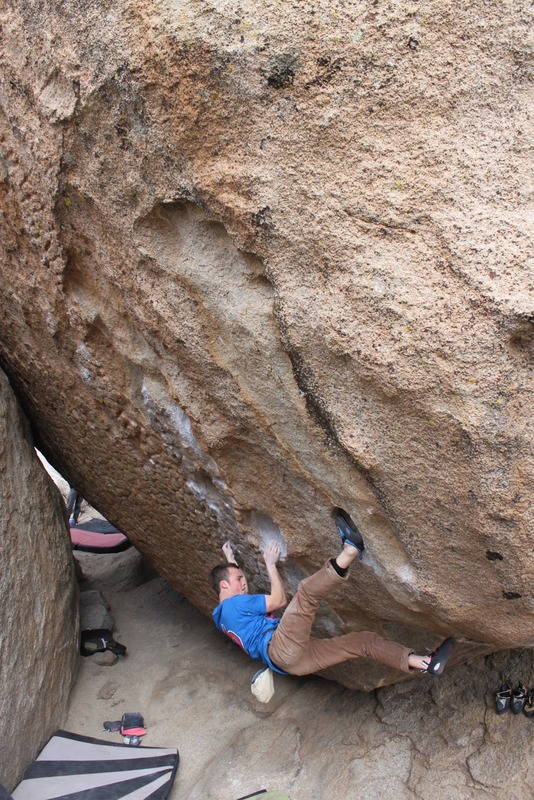 I climbed with him for a bit on Michael Caine Sit (V12). He was able to send and I got to the last move but was too tired to give it another go. Cody, however was able to snag his project, Seven Spanish Angels, first go. After the day was done, we returned to our campsite along with around 25 other friends. The next day was mellow for me. I was content with my earlier send and decided to take it easy. It was Austin and Dom’s first time to Bishop, so Cody and I showed them around. I was sitting on top of the Sunshine Slab when I saw Alex running over. He had the biggest smile on his face and his eyes were wet (not from crying, he probably just got some sand in them). He had just sent his project, Haroun and the Sea of Stories. 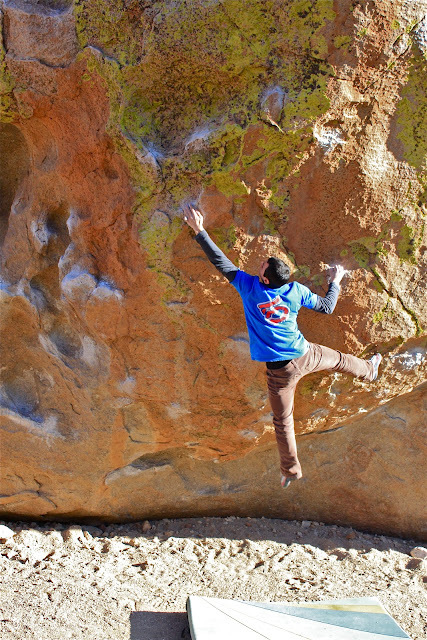 Congrats everyone on the amazing weekend of climbing! As always, I can’t wait to return to Bishop. What is everyone doing for spring break? Congrats on the big send, dude!